Beautiful, witty, confident and independent Lucy was born in 1921 in Philipsburg, Montana, to Mae Huffman Bowen and William Bowen. Lucy was a product of this small ‘burg’ and although she eventually left town it lived on in her until the end of her days. She had an idyllic life: picnics and swimming in Rock Creek, skiing in the nearby mountains in winter (no rope tows here), Rainbow Girls fun and long walks in the snow to school! Her uncles Rod and Carroll Huffman, owned the oldest family-owned grocery store west of the Mississippi, “Huffman’s Grocery.” Her father worked in a hardware store, then city government, then in banking. Mae taught piano to all her grandchildren. Lucy’s first 19 years in Philipsburg taught her the value of community and close friendships. In the end her life was happiest in another small town--Allyn, WA. She met her husband of 42 years, William Norman McLean, at Granite County High School in Philipsburg where they both graduated. 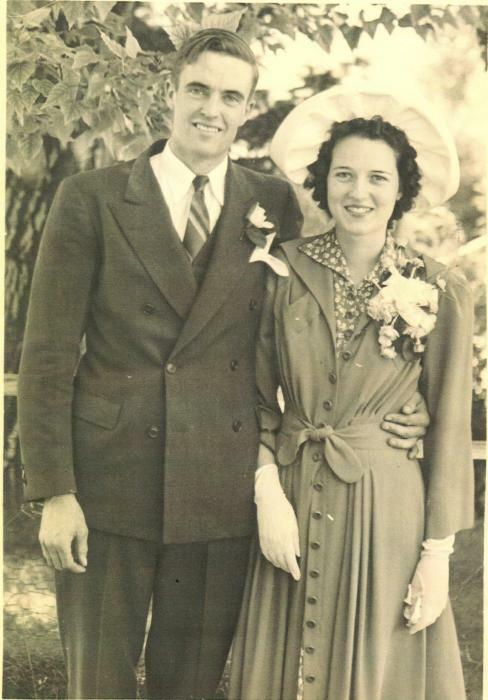 They married in 1939 and moved to Germania, WA, for Bill's job with General Electric. Later, they moved to Seattle; he worked in the shipyards. After the Army, Bill began a career with the Seattle Fire Department, working on the fire boats for 25 years. After their two daughters, Carol and Linda began school, Lucy began her working career with the law firm Quigley, Hatch, Loveridge and Leslie. As the office receptionist, she charmed clients for over 20 years! She and office pals ran up town every lunch hour to shop at the Bon Marché or Frederick & Nelson's. Shopping remained a serious hobby throughout her life. Bill introduced her to driving and golf. She and Bill attended dances and met wonderful friends at Glen Acres, Elks Club, the Haller Lake Community Center and firemen's social gatherings. Bill, an accomplished carpenter, built their houses in Seward Park and later in Olympic Manor. They enjoyed playing golf and travel to Montana and Europe. Carol and Linda were adults by this time and moved away. Bill and Lucy downsized to a condo near Jackson Park Golf Course, Seattle. Bill passed away in 1983. When Lucy met Clarence "Mac" Mc Eldowney, they shared a love of golf. They built a house on the LakeLand Village Golf Course in Allyn. Lucy and Mac enjoyed their new golf friends, Arizona travel, cruises, and visiting their families. Mac passed in 2003 and Lucy continued being a snow-birder with a gal pal. Lucy was a one of a kind friend and neighbor; she was faithful, kind, had good humor and offered unconditional love and respect. 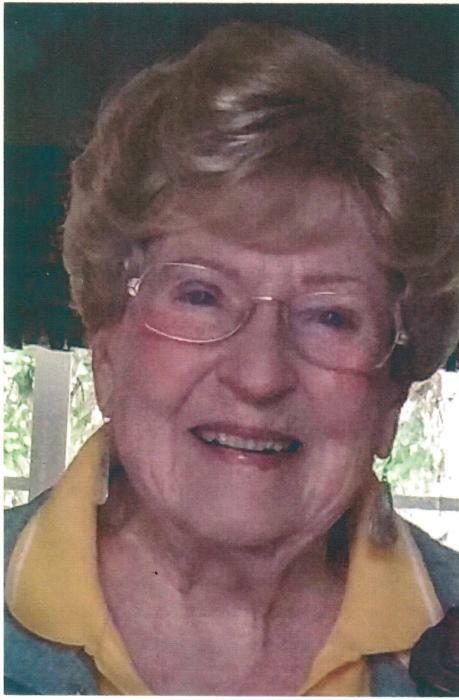 She joined friends in bunko, bridge and the Cannon Club. She was a member of Allyn’s St. Hugh Episcopal Church, bringing her famous “Angel Eggs” to potlucks; no deviled eggs go to church! She served her church faithfully and was the ‘jewelry lady’ at the St. Hugh patio and holiday sales. She played golf every Tuesday with the LakeLand Village Golfing ‘Nifty Niners.’ This year she won their annual “Sweet Lou” congeniality trophy. Allyn was her kind of town--a community where folks supported one another. Her laughter, patience and kindness never stopped. She was beloved and will forever be missed. Lucy is survived by daughters Carol (Doug) of Seattle, WA., and Linda (Rich) of Lake Stevens, WA. Grandchildren are Alissa (Mark) of Everett, WA., Jeff (Hsinyeh) of Irvine, CA., Kim of Snohomish, WA., Kristi (Jeff) of Maple Valley, WA., and Amy of Everett. Greatgrandchildren are Emmarie, Micah, Sullivan, Erika, Justin (Kori), Nelson, Gracie, Kaylee and Anissa. The education and work of her family was very important to her--she was proud and supportive of all. She never forgot a birthday. In addition to her husband Bill and good friend Mac, she was preceded in death by her parents and brother, brother-in-law Howard Copenhaver, nephew Dave Bowen and Uncle Francis Superneau and Aunt Helen Superneau. Her too-short (93 year) life ended on October 1, 2015, at home after a very short illness. She would thank all who gave her joy throughout her life and care during her final days. She requested that her ashes be taken to Philipsburg. Two pictures of her are shown-one is very recent and the other is from 1938, Lucy and Bill McLean. Saturday, October 24, 11-12 p.m.